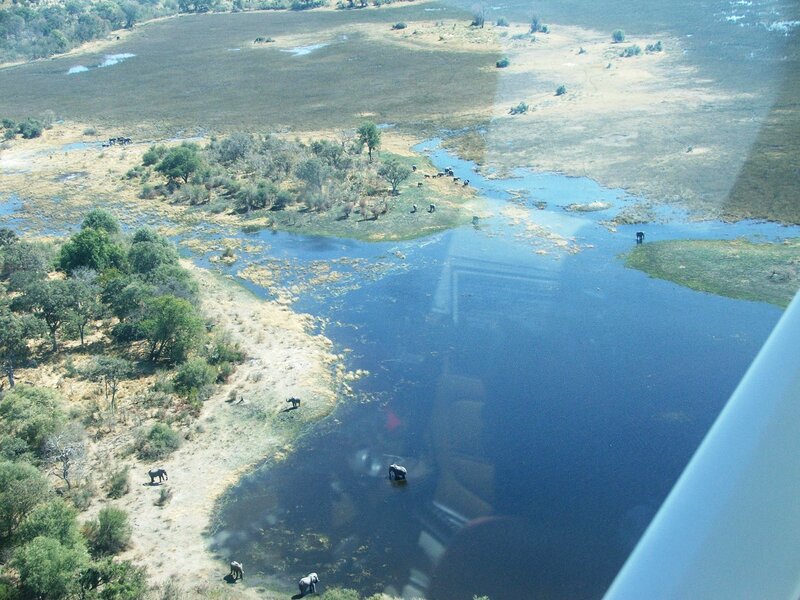 Following a dispute over chieftainship among the Bamangwato people in Serowe, a certain Kgosi Tawana and his followers (the Batawana) left and settled on the southwestern edge of the Okavango Delta near Lake Ngami. Once there, they moved around depending on the delta's water levels, alternating between Toteng, Tsau and Nokaneng. 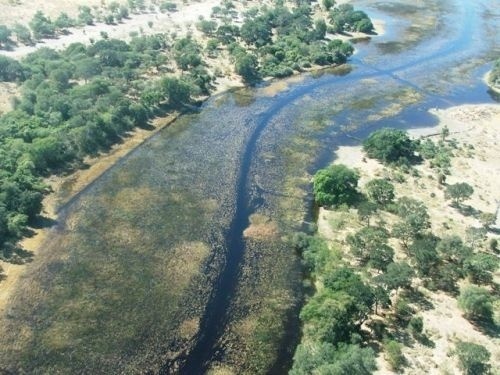 In 1915 the Batawana finally settled at Maun, on the banks of the Thamalakane River at its junction with the Boro River. The name comes from the San word 'maung', meaning 'the place of reeds'. The village had just 600 inhabitants in 1936 and grew slowly. But with the growth of the country's tourism industry in the 80s, its population boomed. Today, the town has over 55 000 residents. Auto Dealer. Auto Spares. Court. Bar/s. Fast Food. Courier Service. School/s. Distributor Services. Government Services. Commercial Offices. Medical Centre. Camping Safaris. Desert Excursions. Hunting. There are plenty of lodges, B&B's and campsites in Maun. You’ll find a Department of Wildlife and National Parks (DWNP) office in town where you can prepay your park entry fees by credit card. Since the privatisation of the campsites in the reserves, all the related operators in Moremi, Savuti and Chobe have their head offices in Maun. There is no embassy in Maun, you will find that in Gaborone only. You will find an internet café and free WIFI at Wimpy and Barcelos. Phone Mac (McKenzie 4x4) for Tow Ins and Repairs (Mechto Workshop) Office number (office hours only) +267 68 61 875. Riley's Garage also offers tow-in services. You can contact them on +267 686 0203 or MAC (Mechanic – Does Recovery): +267 71 303 788; there is also Ngami Toyota in Maun +267 686 0252. There is also Lesedi Motors (Land rover Agent): +267 686 1694. There is also Arthur (Auto Electrician):+267 72 262 921. (Jan-18). If travelling from Maun to Kasane, via Xakanaxa, Khwai, Savute and Ihaha, a LWB 3.2 diesel Pajero, without trailer but with roof rack loaded to capacity and with 2/3 passengers, the fuel consumption is averaging 7,5km per litre (using about 140 litres of fuel). Always carry spare fuel with you - camp operators may bring you fuel if you are stuck, but at about 5 times the price it would cost you in a town. (January 2015). Kalahari Kanvas do tent repairs and sell outdoor equipment. There is a pharmacy called Okavango Pharmacy Maun, Tel : +267 686 0043 and cell number: +267 71 706 435. There is also Taurus Pharmacy in Maun +267 686 3340. There is a clinic. (Jan-18). Maun has all the facilities a traveller may need. Fresh produce is available at the Spar and Woolworths at the Ngami Shopping Mall, at Choppies across the road, or the large Shoprite near Riley’s Garage. There are several local tour operators in town. Mechto Workshop: +267 686 1875, +267 71 303 788. Hambukushu Cultural Village: +267 72 271 422. Shorobe Basket Co-operative: +267 74 379 830. Water tanks can be filled in bulk at Aquarite and small bottles can be purchased at their shop 300m down the road. Botswana’s beef is of high quality and usually far cheaper than in neighbouring countries. Pre-order your meat from Beef Boys Meat Market, [email protected] or +267 686 4771. They'll vacuum pack and freeze your order for collection. They also keep fresh vegetables, salads, anchovies, risotto rice, taco kits and salmon fillets. Remember that you are allowed to take raw meat north and west from Maun past the vet fences. But if there is an outbreak of Foot and Mouth disease, then you temporarily won't be able to do this. Be sure to buy plenty of firewood before leaving Maun if heading to Moremi or Savuti, as you are not always allowed to pick up firewood in the reserves.